TRENTON-- Local hang out spot closes up shop as many city residents say good bye this Friday. One of the city's most well-known social hang out venues is shutting down shop. For those that don't already know, Trenton's Cafe International will be closing its doors in the near future. One of the cafe's last shows will be Friday, April 27th. After being in business for 5 years now, the Cafe has been host to many popular events like Ghandi's Poetry Spot (otherwise known as GPS), Jazz nights featuring Kool and the Gang trombonist Clifford Adams, and various comedy shows just to name a few. 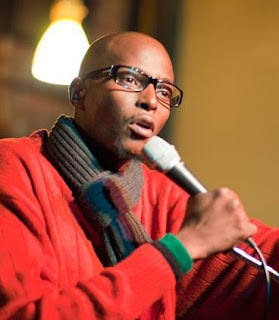 This Friday, the Cafe will be hosting its last GPS show featuring its founding master of ceremonies, Uganda Prescott, otherwise known as Ghandi. Prescott, a Trenton resident, decided to hold his open mic poetry spot at the Cafe three years ago because he saw that there was a poetic void in the city that needed to be filled. In the beginning, it was a struggle for Prescott. Initially, he had trouble finding a venue that would hold his show. As a matter of fact, Prescott was turned down by numerous locations, but the Cafe was willing to give him a chance. During each show, audience members were invited to share their poetry, music, comedy, or whatever else their heart desires. At GPS, all are welcome to share their gifts and talents. After starting out small and fighting the perception that a poetry spot would never work in a place like Trenton, Prescott soldiered on and to this day, he has developed both a large and consistent following. Indeed, over the years, he has attracted and brought together quite an eclectic cast of characters to perform. For this Friday's event, Prescott has scheduled Trenton singer and songwriter Charmaine FullFigga Davis, spoken word artist and Trenton resident Sister Sabree, South Jersey's Ron Syncere and Chris Crisis, to name just a few. Southern cooking will be provided by the Cafe. Doors open at 8 pm. Admission is $10 or $17 if you want a meal to go along with the show. For more information, contact Ghandi at 609-638-3216. TRENTON-- People from all around the area came together last Saturday afternoon to take part in the city's first ever all-natural hair and fashion show at the Lighthouse Outreach Center in Trenton. The mood was just right. The locks were stylish. The garments were dazzling. 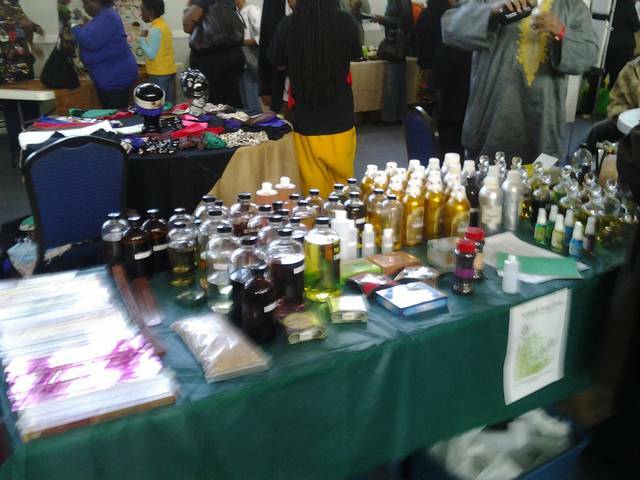 This year's event was brought together by Loc Majesty, a local organization that specializes in natural hair care. Trenton resident and spoken word artist AA Shaqur Towns said that this event was meant to help people heal from the inside out. He went on to say that African Americans need to find a way to redefine beauty for themselves. He said this event helped with that. Over the years, there have been so many hair shows in Trenton, but none have been all-natural. This unprecedented event was in the works for months before it actually got off the ground last week. Event organizers promoted the event through word of mouth, flyers, and social networks like Facebook. Vendors from all around the area came out to support the show. From oils and jewelry to shea butter and clothing, there was a little something for everyone. During the event, poets spoke about the Trayvon Martin case, black beauty, and other things. 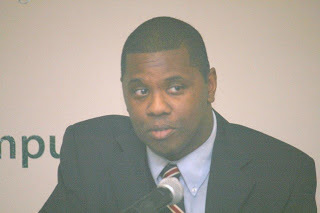 Trenton native and well-known spoken word artist Narubi Selah was the show's host. Yoga expert and local resident Sa Mut A. Scott gave a talk on the importance of health and wellness. TRENTON-- Weaves or locks, that is the question that a local haircare and wellness organization has put to the city of Trenton. Historically, Trenton has had numerous hair shows, but none of these shows were all natural. 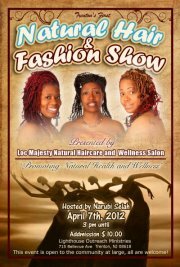 Members of Loc Majesty Natural Haircare and Wellness Salon want to put an end to that trend so they decided to host the city's first ever all-natural hair and fashion show this Saturday, April 7th at the Lighthouse Outreach Ministry from 3 pm to 9 pm. Members of Loc Majesty Natural Haircare and Wellness Salon are locticians that specialize in natural hair care. They recommend that people let go of the lye and go au-naturel. One of the events coordinators, Nichole Towns, says that this event is long over due. Her comments come at a time when many members of Black America seem to be using chemical relaxers to straighten their hair. 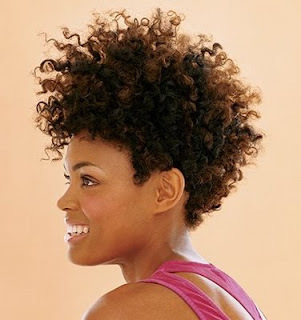 Yet at the same time, we're also witnessing the growth of natural hair care treatments. Indeed, the debate between going natural or using chemical relaxers has even spawned the creation of a documentary film named Good Hair featuring well-known comedian Chris Rock. So, it is no surprise that Trenton is hosting its first ever all natural hair and fashion show this upcoming Saturday.This event is open to the community at large, all are welcome. General admission is $10, for seniors the price is $5 and for children under 12, there is no fee. Vendors from near and far selling are scheduled to attend. Individuals at the event are invited to purchase clothing, jewelry, foot jewelry,skin/hair products, oils, massages, pedicures, books, and much more. During the event, community information and literature will also be available. There will be food vending provided by local hot spot Cafe International. Music will be provided by DJ Smoov. Popular poet Narubi Selah will be hosting. For more information about the event, contact Nichole Towns at (609) 372-0951.